On an October evening, the Milky Way glides across the heavens above the Texas Hill Country. 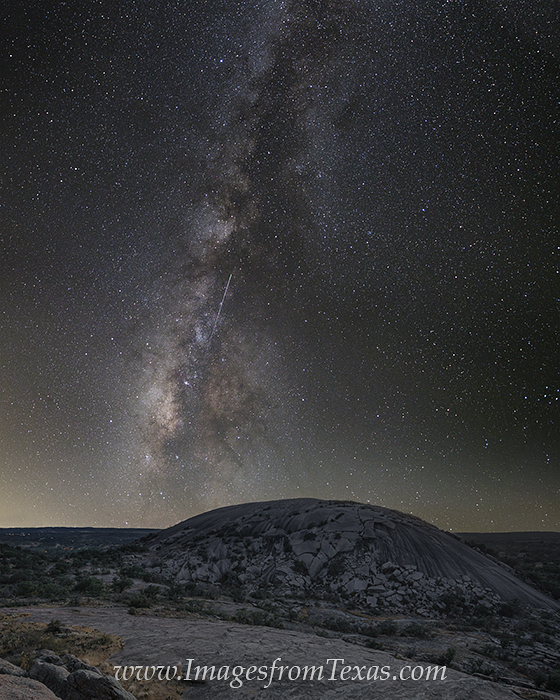 Near Fredericksburg, Enchanted Rock offers a great place to view the stars on a clear night, seen here from a nearby hillside. During this 3-minute exposure of the night sky, I was fortunate to capture a meteor as well. Photo © copyright by Rob Greebon.